Home Fab Lab Connect Brand New SchoolFabLab.com Website Launched! 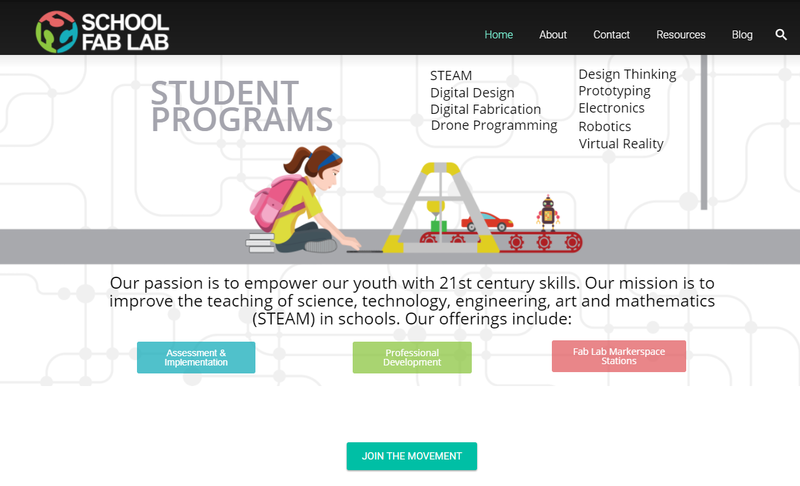 Fab Lab Connect has just launched its all-new website for School Fab Lab! See all about the School Fab Lab Makerspace on SchoolFabLab.com. The site comes full of information about the program, our team and some of our fantastic School Fab Labs. School Fab Lab / Makerspace is a STEAM, project-based, integrated education program based on the constructionism theory developed by Professor Seymour Papert at MIT Media Lab. It adapts the Fabrication Laboratory (Fab Lab), created by Professor Neil Gershenfeld at MIT’s Center for Bits and Atoms to fit the needs and requirements of schools. School Fab Lab focuses on digital design, fabrication and robotics.